Mizoram TET 2019 notification has been released, and the application process for the TET will commence on the scheduled dates specified by the board. TET aspirants of Mizoram must note that there is no online application process for the eligibility test. Mizoram TET is divided into Paper I and Paper II. The Paper I exam is for primary teachers and Paper II exam is for upper primary teachers. The eligibility criteria for primary and upper primary teachers are given below. Applicants with minimum of 50% marks in 10+2 level along with a four years degree in B.Sc. Ed./BA. 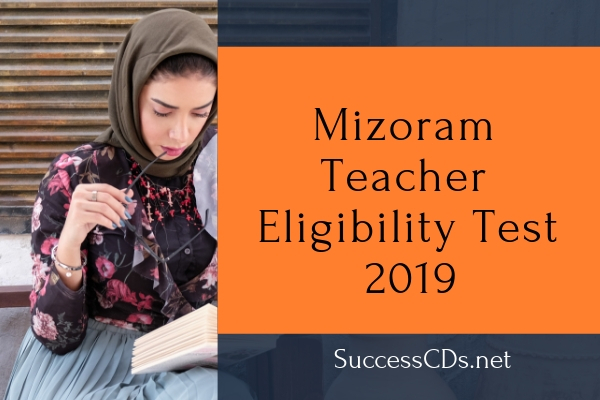 Ed are eligible to apply for Mizoram Teacher Eligibility Test Notification. Usually, the candidates belonging to General Category must score 60% of marks in TET to qualify the exam. The cutoff percentage for other categories will be different. TET score will have weightage in the teacher recruitment process. Mizoram TET syllabus for Paper 1 & 2 will be available on the official information bulletin of Mizoram TET. The candidates must note that the syllabus for Mizoram TET will be similar to CTET examination. More details are elaborated below. Candidates can refer to B.Ed/ D.Ed textbooks for Child Development and Pedagogy. For Language I, the candidates can refer Class 6 to 10 language syllabus of Mizoram Board of School Education. The syllabus will mostly have grammar topics associated with Language I. For Language 2 – English, the candidates can refer Wren and Martin High School English Grammar and Composition Book and practice the exercises for the topics such as Tenses, Active and Passive Voice, One Word Substitutes, Antonyms, Synonyms, Direct and Indirect Speech, Parts of Speech and Idioms.